Your mouth’s health is an important part of keeping your entire body in good condition. However, many people avoid necessary dental procedures like root canals for fear of them being painful or being in the dental chair for a long amount of time. However, a root canal is a painless, common procedure which usually takes no more than an hour. Find out more about root canals and the signs you may need one with Dr. George Zatarain at Z Dentistry in Reno, NV. What will a root canal do for my tooth? 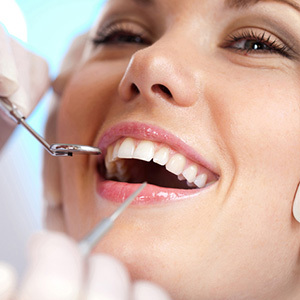 A root canal is a dental procedure which repairs a tooth damaged by infection of teeth decay. As decay moves through the layers of the tooth, it eventually reaches the inside pulp chamber which houses the tooth’s nerves and blood vessels. Once the infection reaches this area, the tooth begins to exhibit the symptoms of a toothache, including pain, discomfort, and sensitivity to hot and cold. As the decay becomes worse, so do the symptoms. By eliminating the infection, a root canal cures teeth decay and rebuilds the tooth’s structure using composite resin and a dental crown, which protects it from future damage. My tooth doesn’t hurt. Do I still need a root canal? A tooth’s outer, hard enamel cannot feel pain. This is why a smaller cavity which only affects the outer layers of the tooth does not hurt. However, a cavity is an active issue and grows over time to eat its way farther and farther into the tooth. It is not until the decay reaches the inner pulp chamber that you begin to feel the pain and discomfort associated with a cavity. Dentists treat most minor cavities with a simple dental filling, which, like a root canal, removes the decay from the tooth and refills it with composite resin. However, some cavities come close enough to the tooth’s inner pulp to render a simple dental filling useless and requiring a full root canal. Your dentist may suggest a root canal before the tooth begins hurting and save you from a toothache altogether. A root canal is a powerful weapon in your dentist’s arsenal against teeth decay. This procedure eliminates the need for an extraction, which is the only other way to cure severe decay. Extraction, which comes along with several days of healing time and side effects like bone atrophy and shifting healthy teeth due to the resulting missing tooth, is not always ideal. Work with your dentist at a consultation to determine if you can benefit from a root canal. For more information on root canals or other dental procedures, please contact Dr. Zatarain at Z Dentistry in Reno, NV. Call (775) 331-1616 to schedule your appointment today!